The first phase of the analytics process is to assess your current website configuration and define some goals which aligned to business or marketing objectives. 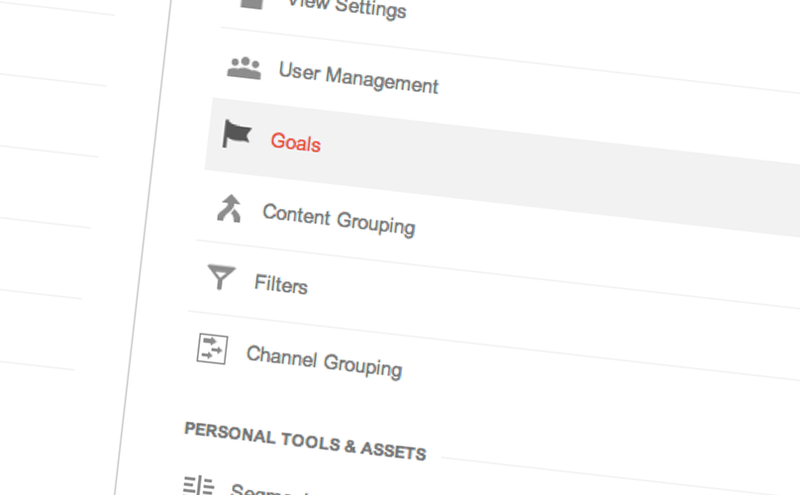 Once those goals have been set, your Google Analytics setup needs to be configured to track and measure each goal much more accurately. 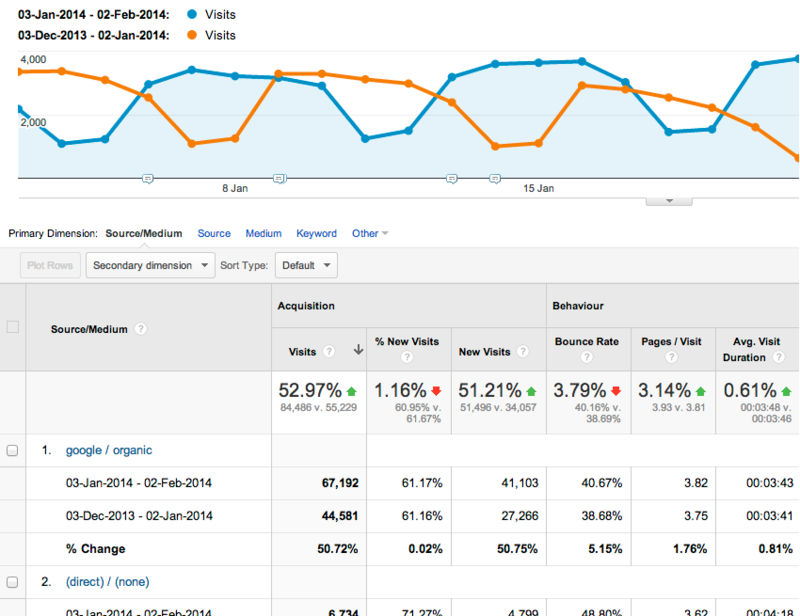 Dashboards in Google Analytics allow you to view the data which is most relevant to you and the business. 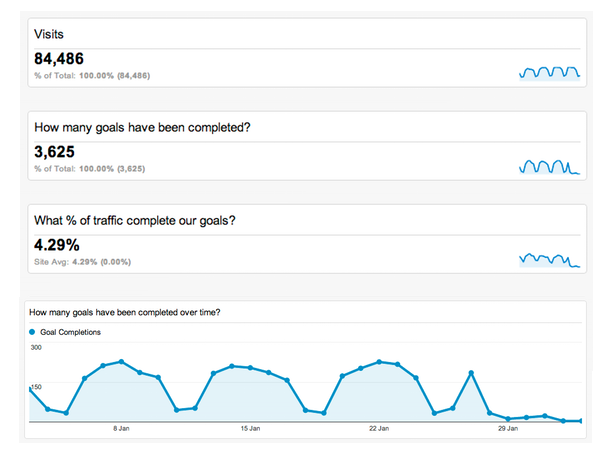 Save time and confusion by creating dashboards containing just the metrics and KPI’s for each area of your marketing activities from traffic sources to content analysis to conversions. Periodical digital marketing reports can be produced containing key metrics, analysis, insights into trends and relevant data to help you make better marketing decisions. I’ll help you work out which campaigns are working and which sources aren’t. I’ll also help you generate ideas for your content marketing strategy. Along with periodical reports come insights and recommendations. Each report uncovers not only the ‘what’ but also the ‘why’. Using this information allows you to make changes and incremental improvements to your website to increase traffic and/or conversions such as leads, registrations and sign ups. Ready for some Analytics fun?